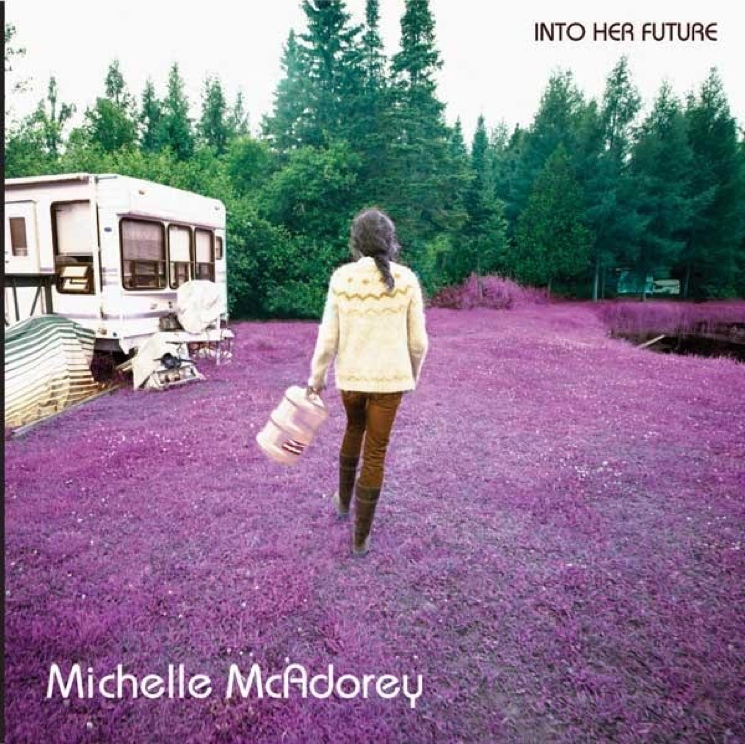 Michelle McAdorey hasn't released an album for more than a decade, but the former Crash Vegas singer will finally break her silence this month with the solo effort Into Her Future. Ahead of its October 30 release on DWR, Exclaim! has the premiere of the entire thing. The nine-song effort was produced by McAdorey's Crash Vegas collaborator Greg Keelor (also of Blue Rodeo) at his Lost Cause studio, with sessions taking place over the past two and a half years. The opening title track begins as a quiet acoustic ballad, but it's not too long before electric guitars kick in and the song turns into a folk rocker. This sets the tone for the album, as "Disappearing Things" is overdriven roots rock, "Culvert Jack" is a twangy seven-minute epic, "Leave the Main Road" is sighing alt-country, and closer "The Remainder" ends the album with cinematic, shimmering crescendos. Keelor said in a statement, "Michelle's spirit has always been an inspiration to my own work. I have long been in awe of her strength and passion, not just as a singer but as a writer and an interpreter of feeling, which to me is the essence of great songs. I am thrilled to have been a part of this process." Hear the premiere of the album below.